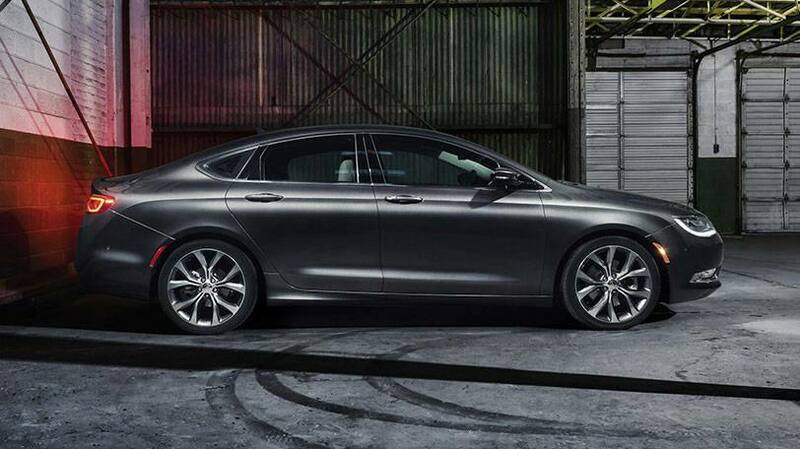 It’s difficult to write about the new Chrysler 200 without talking about the old Chrysler 200. The old 200 and its twin the Dodge Avenger were not horrible cars, they just weren’t good cars. They were products of the old Daimler (Mercedes Benz) Chrysler marriage. Daimler gutted Chrysler. Jeep’s technology is what they wanted and for the most part left Chrysler with sup-par vehicles. Today, a lot of the Jeep’s DNA can be found in several Mercedes SUV. The current Grand Cherokee and Dodge Durango share the same platform with the ML that was developed jointly with Mercedes. Daimler’s DNA can be found in the current Chrysler 300, Dodge Charger,Challenger and the discontinued Dodge Magnum. The rear suspension ,the 5-speed automatic transmission’s and the double wishbone front suspension that is derived from the W220 Mercedes S Class. Fiat has to be commended, they freshened and improved drivablity of the 200 in 2012 as well as other cars from the Daimler era. They even raised its image and sales with a bold two minute commercial for Super Bowl XLV featuring Eminem with the motto Imported from Detroit. The 200 may be the best new vehicle the new Fiat Chrysler has developed. The launch of the 2013 Dodge Dart was horrific. Its a good car but it wasn’t ready for market. Last year’s Jeep Cherokee was a home run and the marketing and sales for the current 200 has been excellent. The three vehicles are built on Fiat’s Compact platform now called Compact U.S. Wide on which the Alfa Romeo Giulietta is based. The standard engine is Chrysler’s 2.4 Tigershark 4 producing 184 horsepower and 173 pound feet of torque. The optional engine is the 3.6 Pentastar 6 producing 295 horsepower and 262 pound feet of torque. Both are mated to a 9 speed automatic transmission. The first thing I noticed was the power, I initially though I was driving the Pentastar. The steering and the suspension felt substantial. The 200 its its base form was very quiet. Pairing my phone with the base model was Chrysler easy. (Believe the hype-Chrysler has it down) . Freeway cracks and joints did not upset the Chrysler. By the time I hit Fairfield, I was averaging 33 mpg driving 75. The 200 is very handsome car inside and out. . It looks much better in person than its looks on TV or the Magazine. The interior is well done. The transmission selector is a knob on the console. For the first couple of days, I had the cleanest windshield in the Bay Area as I would reach to the wiper stalk to change gears. With the traditional transmission selector gone, the 200 has one of the roomiest and functional consoles in the business. With a push of button the drink holder slides back to reveal a large storage area. Underneath the transmission knob is a place for two phones. In addition to the console is a large compartment underneath the arm rest. In addition to the touch screen there are many large buttons and switches that are easily accessible. The materials used is throughout the car is pretty good. Huge pillars hampered visibility throughout the car. People, mailboxes and cars disappeared. The sloping roof line, made rear seat entry difficult for tall people and room in the rear seat was fair. Someone sitting behind me said they lost feelings in their legs and feet. On the streets of Sacramento and on the local freeways the nine speed transmission was flawless. However on some of the hills of San Francisco it would lose its way . The transmission would hesitate after a stop going up a steep street. On a long downhill its would need a minute to find the right gear. Noting major but noticeable. The potholes did not upset the 200. However, a few rattles were unearthed by the rough streets of San Francisco. They disappeared when we returned to Sacramento. I am 6.4 and over 300 pounds. The front seat leg room was very good. The width of the seat was very good for this wide bodied man. The nice thick steering wheel tilted and telescoped for infinate adjustments. There are adjustments for the height of the seats. On a long drive the base seats weren’t comfortable, if I were buying this car I would spring for the leather seats. This car would be perfectly fine for an averaged size family. However this is BIG MAN RIDES and if you are a tall man and frequently carry passengers (especially tall) this isn’t the car for you. The Volkswagen Passat would be a better choice. The 200 enters a large segment, the midsize field is the most crowed in autodom. 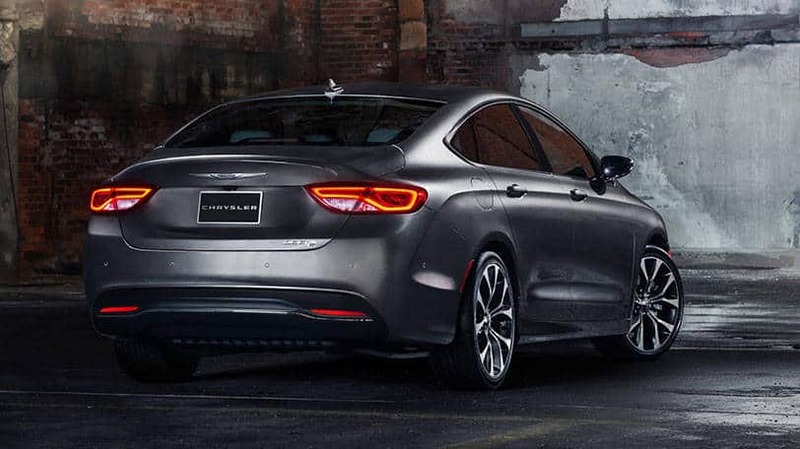 The new Chrysler 200 is impressively stylish, fuel efficient with the four. As a midsize car its about mid pack, there are cars that have more room and handle better and get better gas mileage. Its is one of three cars in the segment available with all wheel drive. The person who shops the 200 are likely to shop the Ford Fusion and the Mazda 6. She needs a midsize car, but wants a little style and I think Fiat Chrysler may have another hit on their hands. This entry was posted in Android Phones, BIG MAN RIDES, Cars, Cell Phones, Cityfella Travels, Facebook, Gadgets & Gizmo's, NATIONAL, Phone Technology, Smartphones, Televison, The American Consumer, Twitter and tagged 2015 Chrysler 200, Big Man Rides, Daimler, Fiat Chrysler, Mercedes Benz. Bookmark the permalink.